Half double crochet is one of my favorite crochet stitches. More exciting than single crochet but without the full commitment of double crochet. 😉 If you can do the half double crochet, I have good news! You are already able to complete the third loophalf double crochet. Watch the video below! 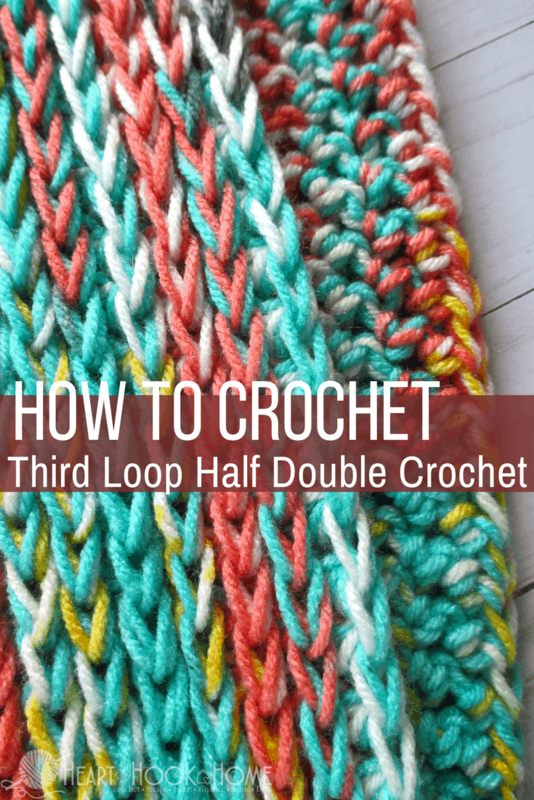 The third loop half double crochet is so similar to regular half double crochet but this one simple alteration literally changes everything. The effect this creates is absolutely beautiful, and reversible! 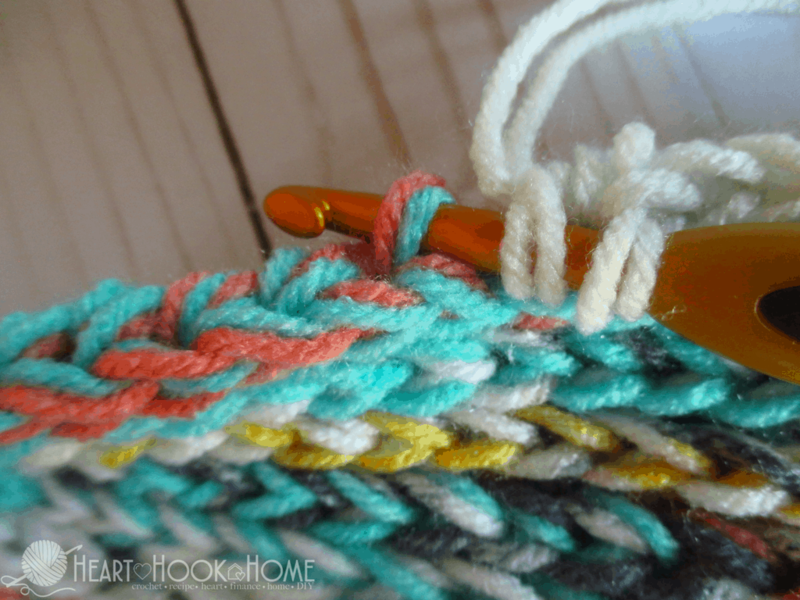 To make the third loop half double crochet, you will yarn over, insert your hook into the third loop only of the previous hdc, yarn over again. You should now have three loops on your hook. 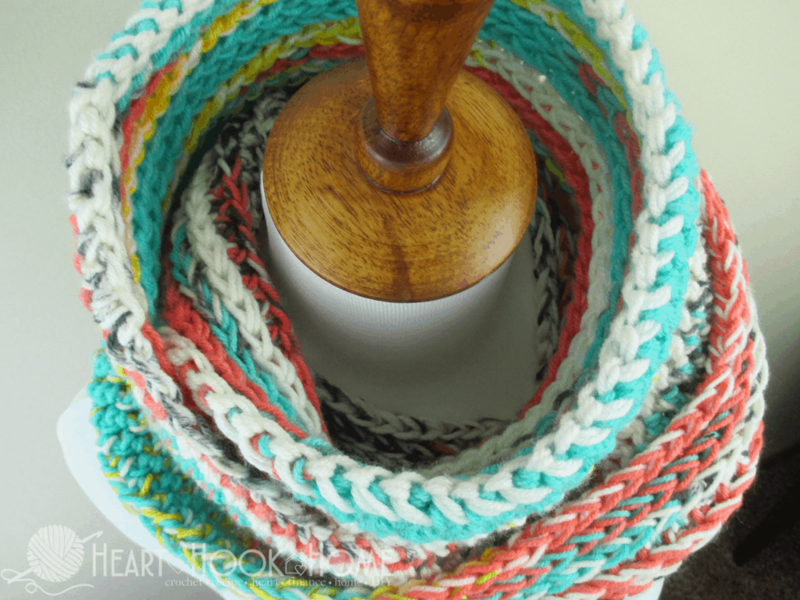 Yarn over and pull through all three loops, completing your third post only half double crochet. This stitch is typically worked in the round because it is difficult to seam, although it is technically possible. Isn’t that just the easiest thing ever? If you like the look of this stitch, you have to try the From Here to Infinity Scarf – one of my newest creations! I made the approximately the same size as you show in your video to use as a pillow cover. How do I finish? The edges are not even. Also how do I close the top and bottom i.e. complete the pillow. Hi If I want to work back and forth like for a blanket and not in continuous rounds, what changes in the second row, fourth row and so on? Your tutorial was great. How do I close up the two ends? Just the standard way? I did crochet in a circle , therefore it is not even. How do I make it even? Thanks for your help? What is the difference between 3rd loop hdc and back loop hdc? I learned to crochet at 5 years of age. I do have some problems with it now, as I have Psoriatic arthritis and fibromyalgia, so my everything hurts some of the day. I do still crochet, however. 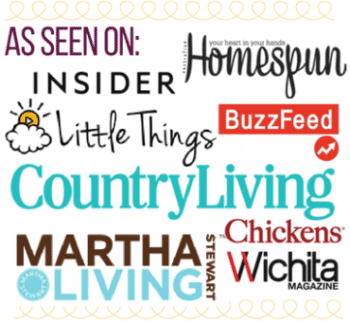 I am not familiar with some of the abbreviations in your blog. Is there a list or a book or ANYTHING I can get that would allow me to learn what these abbreviations mean? Thanks in advance for any help you can give. So when you are doing this for a flat panel say a scarf or blanket what stitch would you do for the wrong side so you would have the same look as you do? I followed the tutorial and mine looks nothing like yours. Is there something I’m doing wrong when I turn? Hi Audrey! It's hard to say exactly what's going on without seeing it, but I can take a guess =) In my tutorial, I am working in the round, so the right side of my project is always facing me...you mentioned turning your work, which means you are working your project with right side facing you one row and the wrong side next row...that will give your piece a different look than mine. Hope that makes sense and helps you! It's also called the Camel stitch. Or rather, the Camel Technique, since it can also be used for any stitch. I read somewhere it's called a short single crochet when used with a single. I love the technique and use it on hat brims a lot. 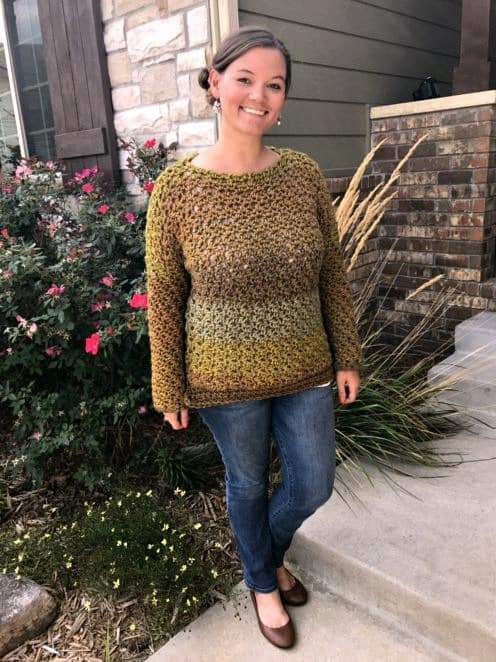 I bought some variegated yarn exactly like the yarn you use in this tutorial and I have been looking for a good pattern to use it. Thanks for this one! !